The dark deeds executed by the quiet professionals of the Marine Corps often go unspoken. The USMC Recon Swift Silent Deadly T-Shirt references the three virtues that these talented individuals demonstrate when they act. 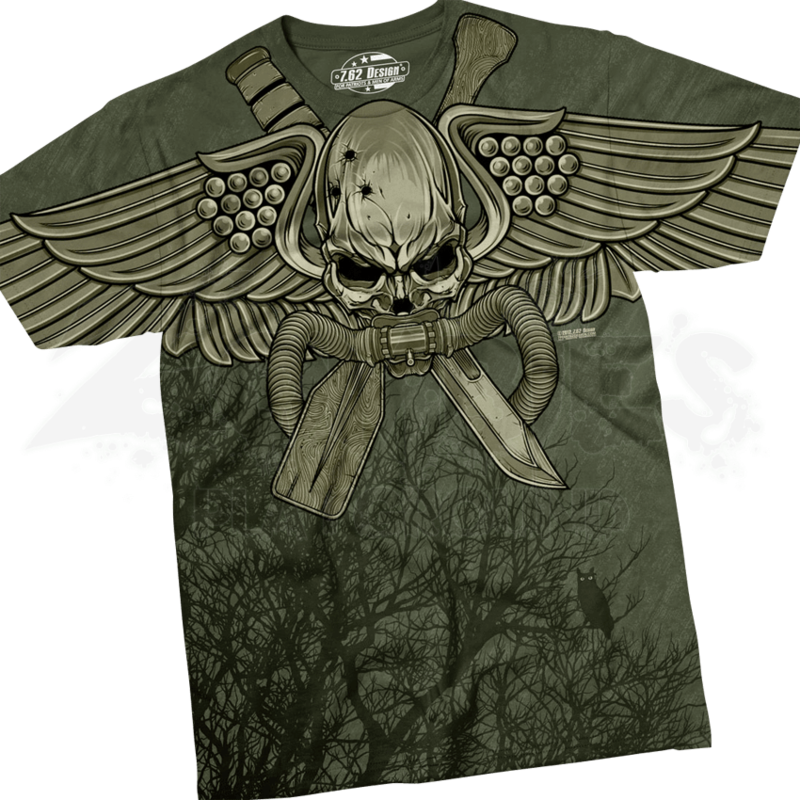 The military shirt depicts the silhouette of a barren tree along the bottom. Above, a winged skull wearing an underwater mouthpiece appears overtop of a crossed dagger and paddle. A smaller version of this graphic appears across the back, surrounded by the words SWIFT SILENT DEADLY and USMC RECONNAISSANCE. 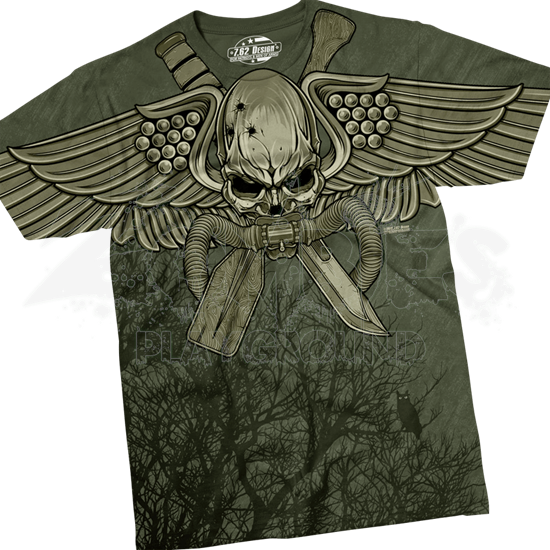 This Marines t-shirt offers a reminder of the men and women who risk life and limb lurking in the shadows of the battlefield to serve the nation that they love, making it a great piece of patriotic apparel.